While most parents pick up a bit of first aid knowledge, most don't participate in formal training. However, there are some potentially important benefits for taking formal classes and learning all that first aid training can offer. Here are five reasons why first aid training is important for all parents. Young children often get in trouble due to their curiosity, and older children sometimes get in trouble by exercising poor judgement. Furthermore, children of all ages lack the experiences needed to avoid all potential dangers, and many typical childhood activities can lead to injuries. While professional aid is important to respond to emergencies, responses often take time and parents who lack first aid training might not know how to handle emergency situations correctly. First aid training for parents empowers parents to render aid while emergency responders are en route, and those precious minutes can lead to a better outcome. People of all ages, including children, can benefit from learning first aid, and parents who learn first aid can help teach their children. With first aid training, parents can learn what to teach their children and pass these skills down over time. Training also helps parents avoid passing down incorrect first aid advice, and parents armed with proper training can ensure that incorrect health ideas their children pick up are corrected. 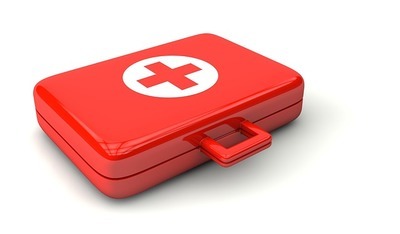 While first aid is important for responding to emergencies, it's also helpful for day-to-day health issues. Children often prone to scratches, scrapes, and other small problems, and first aid training ensures that parents can handle these problems. While it's important to seek medical advice for many issues, training also lets parents know when they need to schedule an appointment with a doctor or head to the emergency room. Treating acute injuries is an important part of first aid, but proper training can help parents learn how to treat injuries for the medium and long term. By using the right tools, parents can help their children avoid infections, which can lead to a host of health problems. Parents will also learn how to monitor injuries for signs of improper healing so they can seek medical aid. Again, parents can use this knowledge to teach their children how to properly care for cuts and scrapes, which empowers children to handle injuries correctly. One of the benefits of first aid training is how it enables people to spend more time outdoors and away from home confidently. With an appropriate first aid kit, parents can head out camping or embark on other activities with their children and know what to do. In this era of smartphones and constant online access, a bit more time outdoors is great for all families. First aid training can be powerful, and parents who learn in can ensure that they're doing all they can for their children. Passing on this skills also helps ensure that their children are well prepared for taking care of themselves.